West Suffolk Baptist Church has been blessed with servant leaders. We currently are served by four Elders (including the Pastor), and three Deacons. Our Elders regularly provide preaching at the Worship Service on the Lord’s Day, as well as teaching at our Wednesday Evening Bible Studies, Sunday morning Discipleship classes, and Sunday Evening Bible Studies. More information about our Elders may be found here. The Deacons serve WSBC’s church family in many ways, from assisting with the Lord’s Table, to caring for our facilities, and nearly everything in between. 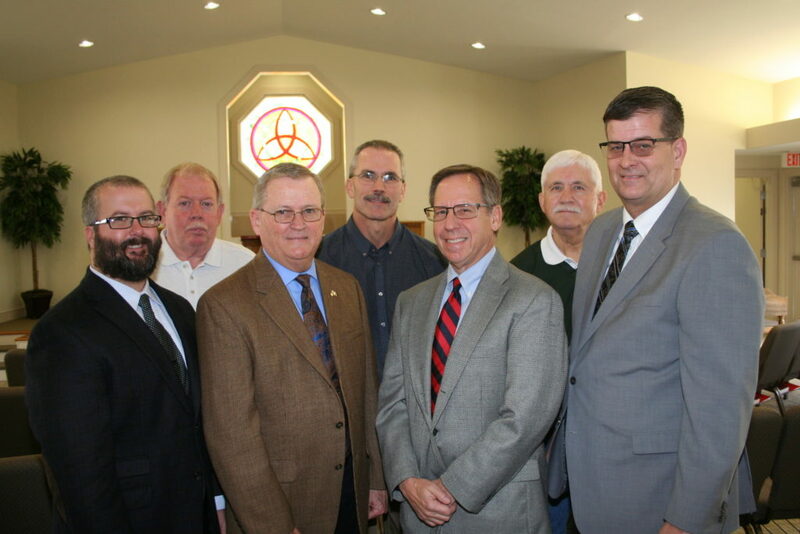 More information about our Deacons may be found here. Fellowship pot-luck at 6 p.m., followed by Bible Study and Prayer. All are welcome.